We can all agree that a metal roof will provide superior protection to your home. The seamless panels seal it up nicely, and if you live in an area that receives heavy snowfall, then you definitely want to have metal on top of your house, business, or cabin. Most people would agree that a metal roof looks better than asphalt shingles. The clean lines, striking colors, and the character that comes out with metal appeals to most people. 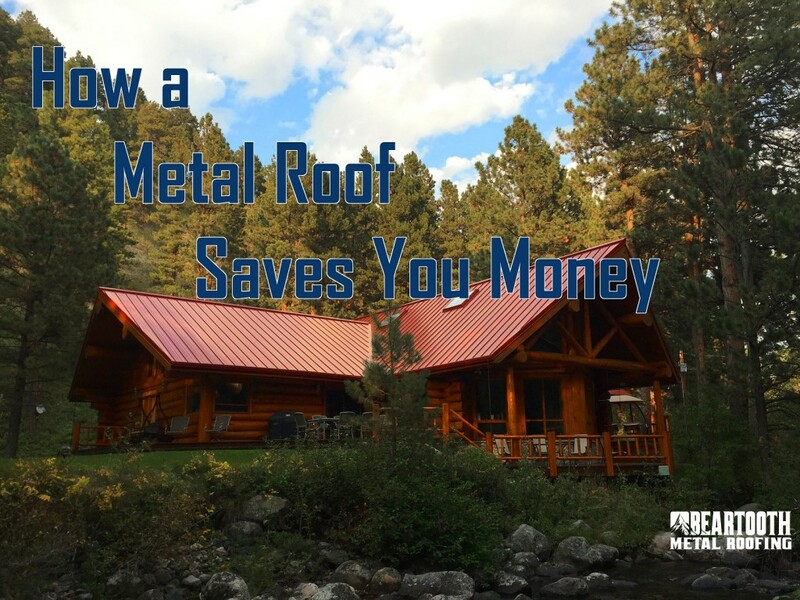 What many people don’t see, however, is that they actually save money by installing a metal roof on their home. The roof costs more, but they save money. How does that work? Let’s break it down by the numbers. We have to make some generalizations here, but let’s add up the numbers. Total cost for your asphalt roof over 50 years: $28,500 (not including inflation). 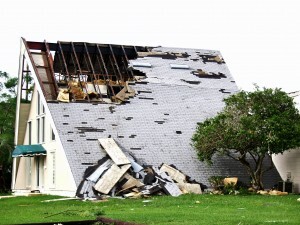 Keep in mind that your roof may cost more depending on how many peaks and valleys it has. You may save more or less with your insurance premiums and you may save more or less with your utility bills. But even without those savings, you still have a superior roof that you don’t have to worry about, that increases the value of your home, for fewer overall expenses over the next 50 years. Are you ready to have a work of art put on top of your house? Are you ready to provide superior protection for your home? Are you ready to save money, live safer, and be more comfortable? Then it’s time to call Beartooth Metal Roofing at 406-839-0084. 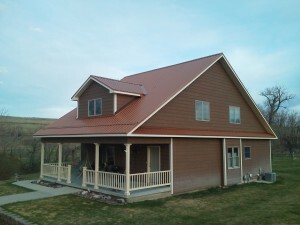 Beartooth Metal Roofing is based in Billings, MT. 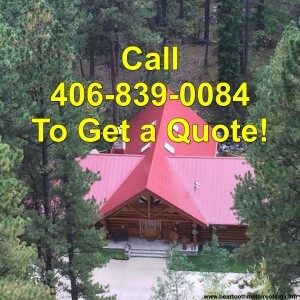 We provide high quality metal roofs to all of the communities within a few hundred miles, including Nye, Roundup, Mile City, Cody WY, Red Lodge, Absarokee, Baker, and more. Give us a call and we’ll get you on the schedule for a beautiful roof!